I wore this outfit for a trip to New Market in the weekend, and walked past this beautiful brick building with red ivy growing all over the walls. It also had two funky-looking bush/tree things out the front; thought it made for a pretty spot to document my outfit. 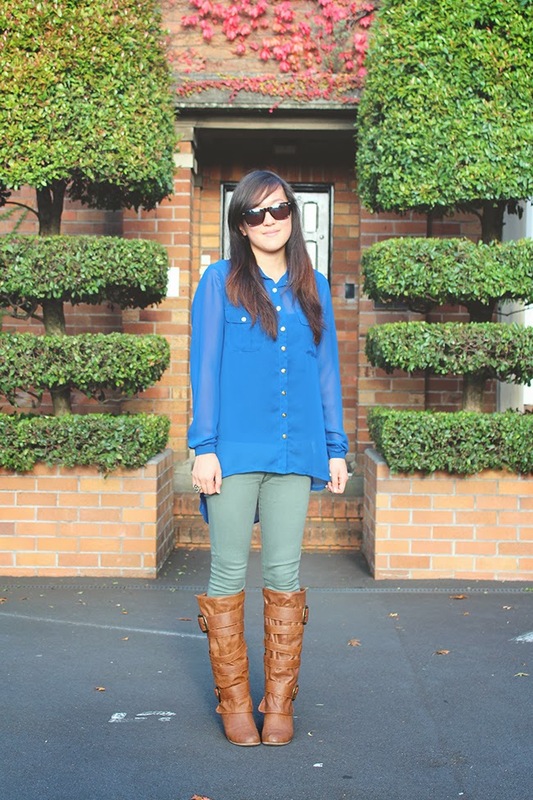 This is one of my go-to outfit for Autumn; I love the rich colour palette and easy-to-wear pieces. I actually bought all the pieces in this whole outfit at the same time, with the boots being the best bargain at only $20! I'm definitely a big bargain hunter. P.S. 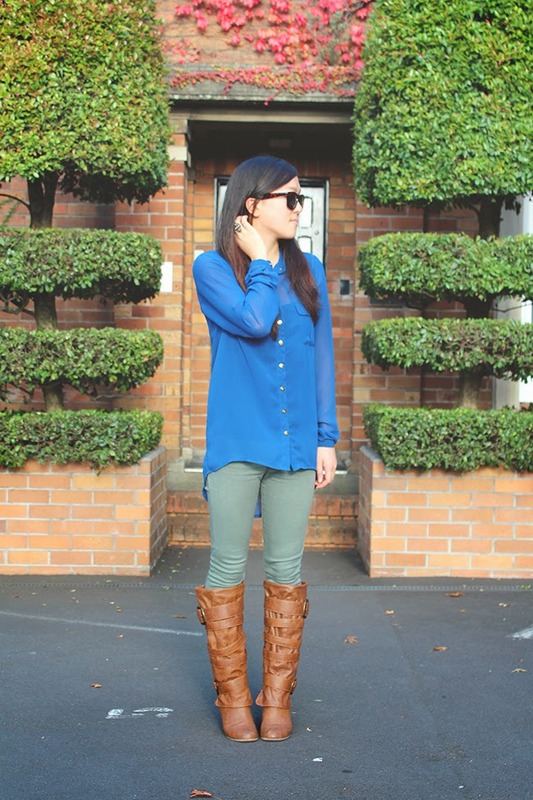 Thanks to Bethany who featured me on her blog as her Style Share of the Month! So cool to find another nz blogger! Hello! 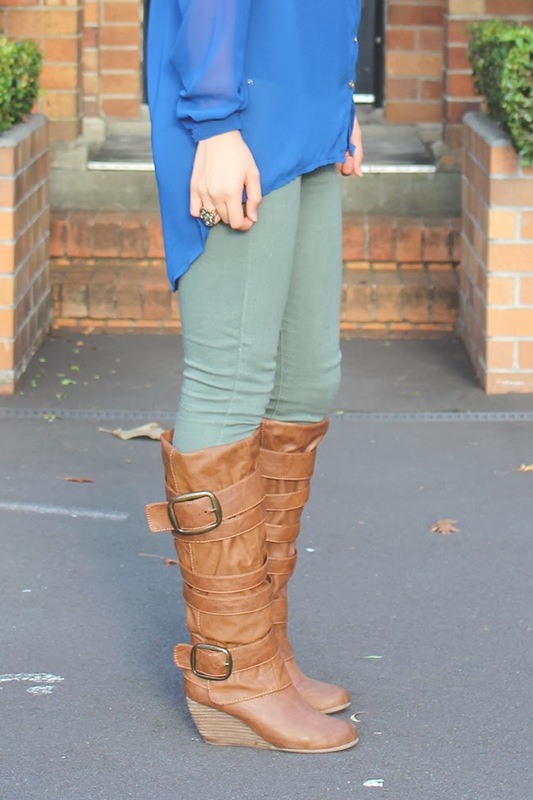 I absolutely love this outfit - the colour combo's are awesome and I love love love those boots!! Great job! Ahhhhhh! That outfit is SOOOOO cute! Love it! Especially with those boots.